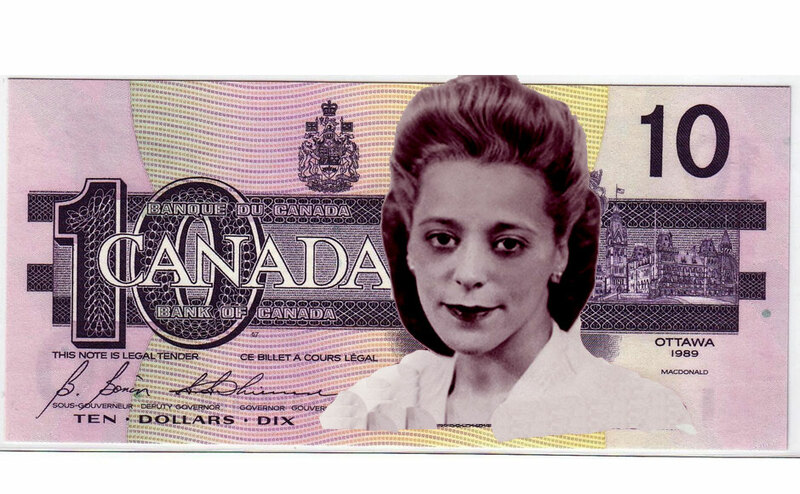 Who Is Viola Desmond, Why Is She On The New 10 Canadian Dollar Bill? The continent of North America is rife with racism coupled with a long history of slavery and racial oppression. In spite of the racial oppression suffered by people of African descent who lived on the continent, history shows that there are people of color who refused to bend in the face of oppression and stood up for themselves. One of such people is the Canadian businesswoman Viola Desmond whose fights for the civil rights movement solidified her place in history. Her bravery and strength have been recognized by the citizens and government of Canada and she is remembered for the stance she took. To learn more about this courageous woman and how she has become a national heroine, keep reading. Viola Irene Davis was born in 1914 on the 6th of July in Halifax, Nova Scotia in Canada, to James Albert Davis; a barber and Gwendolin Irene Johnson. Her parents had nine other children apart from her and were active participants in their immediate black communities. They were one of the few inter-racial couples of the time, as her father was black and her mother, white. As a child, Viola Irene could tell that there was a dearth of hair and skin care products that catered to the texture of African hair and the skins of women who looked like her, thus, she decided to do something about it. The feelings of animosity towards black women prevented her from training in her hometown of Halifax as a beautician, with that in mind, she made the decision to move to Montreal, Atlantic City and finally New York to train as a beautician. While in New York, Viola Desmond trained at one of the schools under the prestigious Madam C.J. Walker schools for beautification. When her training ended, she returned to her hometown and opened her own salon which was frequented by black elites in the community, most notably was Gwen Jenkins who went on to become the first woman of color to hold a job as a nurse in Nova Scotia. She also opened a beautician school for colored women, where they were taught skills not just on beautification but skills required for entrepreneurship. She also started a line of beauty products for black women. Why Is She On The New 10 Canadian Dollar Bill? In 1946 on the 8th of November, Viola Desmond while away on a business trip for the sale of her products, decided to visit the cinema to pass the time while her car which had broken down got fixed. Unknown to her, the cinema had a policy that restricted the lower part of the cinema to colored people and left only the gallery for them to sit. Being short-sighted, she decided to sit at the lower part of the cinema where she could see the screen better. When she was found out, an attempt to move her ensued. Realizing what was going on, she refused to change her seat, and this earned her an arrest as the price for the lower seats had a higher tax than those in the gallery. Her arrest was on the grounds of tax evasion; she was locked up for twelve hours and expected to appear in court for tax evasion for the price of one cent. This event sparked a decision to fight the charge laid against her. Going against the wishes of her husband who had told her to drop the case; it led to one of the first trials on racial matters in Canada. When the trial ended, Viola Desmond moved to Montreal and closed her business in Halifax. She spent her final years in New York where she died at the age of 51. For her actions, she has been compared to Rosa Parks although there are contextual differences in their reasons for protest. History also shows that Desmond was more interested in fighting for the right of black people by creating products for beautification that catered to them. In 2016, Desmond became the first woman with Canadian nationality and the first woman who does not belong to royalty to appear on one of the currency notes of the country. This decision is one of the many attempts at correcting the wrongs that were meted out to her and to recognize her as a national hero for her fight against racism. This comes after the pardon she was given posthumously in 2010. The design for the new bill she appears on which is the $10 bill was released in 2018 on the 26th of November by the Bank of Canada.